Well before the end of this century, solar power will be the world’s dominant energy source, according to renewable energy pioneer, Philip Wolfe. And the coming decade will start the transition to the high growth phase as prices fall and regulatory drivers increase. This is the first book to focus on the development of solar systems for merchant power delivery into the grid. It is a key reference for those structuring, developing and backing megawatt-scale solar power projects during this exciting stage. It is a manual for people with a commercial, professional, financial, engineering or political interest in the sector, rather than a textbook for specialists or scientists. 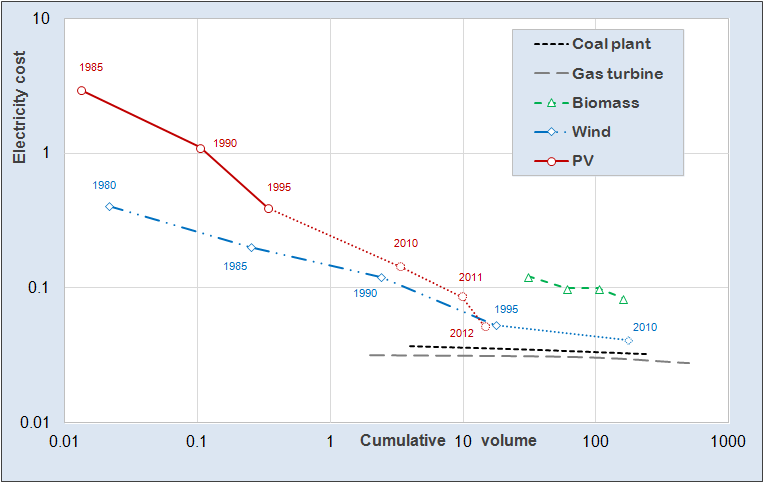 Terrestrial solar power applications are still less than fifty years old. The author uses interviews with solar pioneers to highlight the key issues and describe how we got to where we are, what we have learnt along the way, and where this can lead in the future. The book is a concise, readable, jargon-free treatise on the project development issues of solar power. It is supported by more detailed analysis of solar power’s policy environment, role, science, economics, applications, history, technology, players, design issues and references for those who wish to explore in greater detail. The book includes maps of all known existing and planned utility solar parks over 10MW, and the mapping has subsequently been maintained and updated by Wiki-Solar. Mongabay; "a wealth of knowledge ground-truthed by stories of what has worked and what has failed"
Amazon; "integrated, clear and concise"
LoveReading: "the best book and most easily assessable book available"